We meet many business owners who like what we stand for and want to work with us, but feel they can’t as we are Xero Accountants in Peterborough and they use Sage or another type of accounting software; but fear not, whatever system you currently use we can help you. Our XERO specialist accountants can migrate your accounts from your current accounting system to Xero. This will make running your business easier and checking your cash flow quicker and simpler. 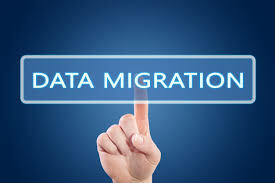 Why Migrate Your Accounts To Xero? Here at Direct Peak we are Xero Accountants and feel that Xero accounting is a fabulous alternative to your old accounting software because it provides a real-time view of cash flow, wherever you are and at any time you choose. You can use the mobile app to run your business on the go; reconciling, sending invoices, creating expense claims and more whether you’re eating your breakfast, on a train or enjoying a family holiday. You can also get paid faster with Xero because you can send invoices online and you’ll get an update when they’re opened by your customers. Xero will also import and categorise your latest bank transactions to so you know how much cash is in your bank account at all times. How to Move To Xero Accounting? Firstly, of course this is something our Xero Accounting Specialists in Peterborough are happy to help you with, or complete for you as we know that business owners are busy people. However, if you do choose to move to Xero yourself you will need to register with Movemybooks for free then complete the simple step-by-step instructions shown and this will help extract your backup file. We will of course be on hand if there are any issues during this process. Your Xero account is then born and you’ll either need to register for a Xero account or sign into your Xero account; a free trial or paid account is fine. Then click the ‘authorise’ button and connect to Xero. Check the data is being sent to the right place, follow the simple steps and then you’re all set up.